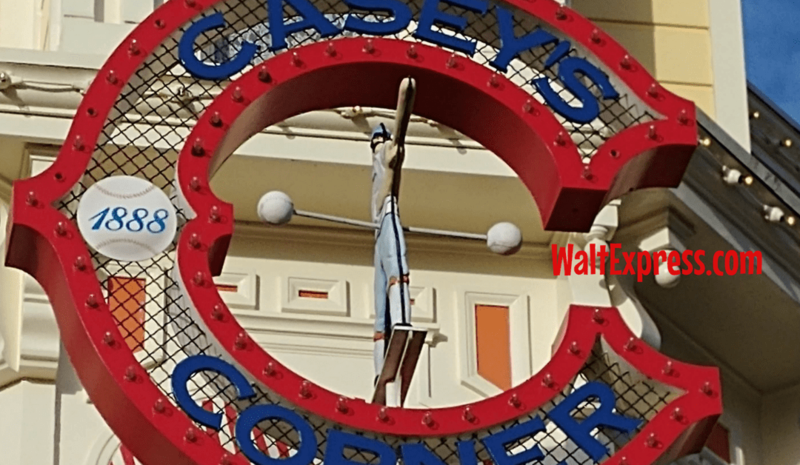 Check out the Video: Casey’s Corner Pianist in the Magic Kingdom and get the lowdown on more fun things to do on Main Street USA in the Magic Kingdom! You can find the Casey’s Corner Pianist outside Casey’s Corner in the Magic Kingdom. He plays all kinds of show stopping hits that will remind you of days gone by. Grab a bite to eat, take a seat and listen to all of the mesmerizing sounds coming from the piano. You will have a great view of Cinderella Castle too! Every time I have seen this toe tapping show, the pianist always has a smile on his face as he tickles the ivories. He is also quite funny and loves to interact with guests. Do you have a request? Go ahead and ask nicely between sets. He can play anything from ragtime music to current Disney hits. This makes for a great break from walking around the Magic Kingdom. So, take a seat and relax as you take in all of the sights and sounds of the Magic Kingdom. 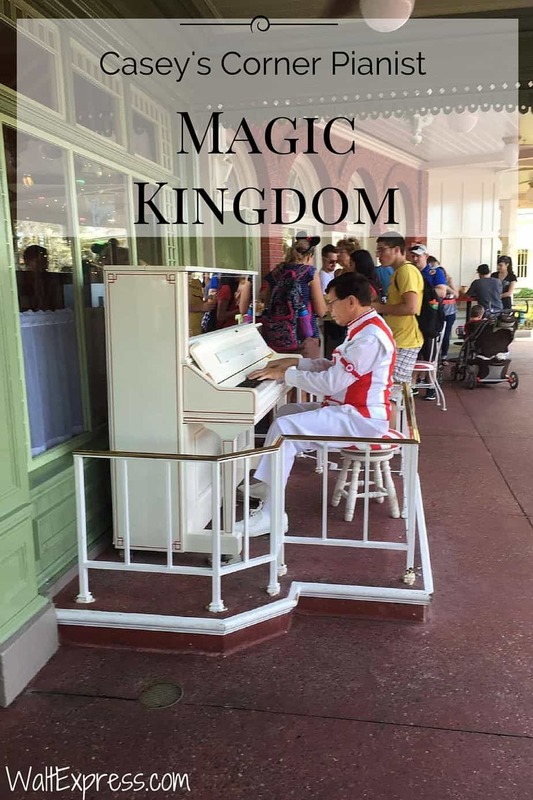 If you want to see and hear this talented pianist, make sure you pick up a Times Guide at the entrance of the Magic Kingdom or go HERE for show times. There are so many things that can entertain all of the senses walking down Main Street USA at the Magic Kingdom. From the characters in Town Square, the Main Street Trolley that makes it’s way down Main Street USA, the Dapper Dans Barber Shop Quartet, The Move It! Shake It! Dance and Play It! Street Party!, or the Main Street Philharmonic, you will not be disappointed. What is your favorite Main Street pastime?